The power to fly like an eagle is at your fingertips, and your imagination. 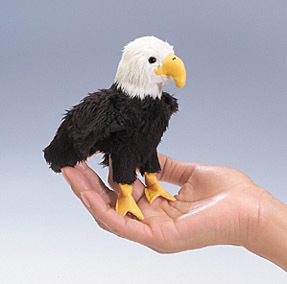 All you need now is this Eagle finger puppet and you're ready to soar! Eagle measures 5" tall.